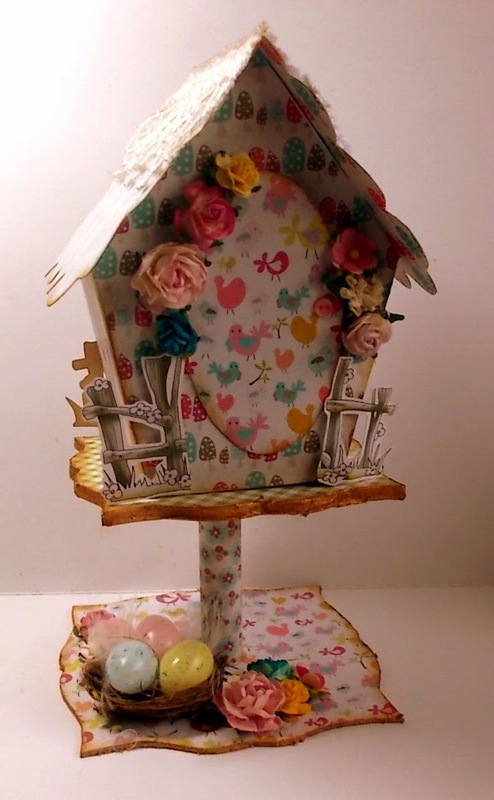 Did you manage to catch the fabulous Nikky Hall on Create & Craft on Monday? If not head over to the Create & Craft website and watch the show on catch up. It was a fabulous show and a great new CD on that you will not want to miss! Our Random Prize winner for this challenge will win a £5 voucher for the brand new website! You have until 12 noon. GMT, Friday 24th April to enter. 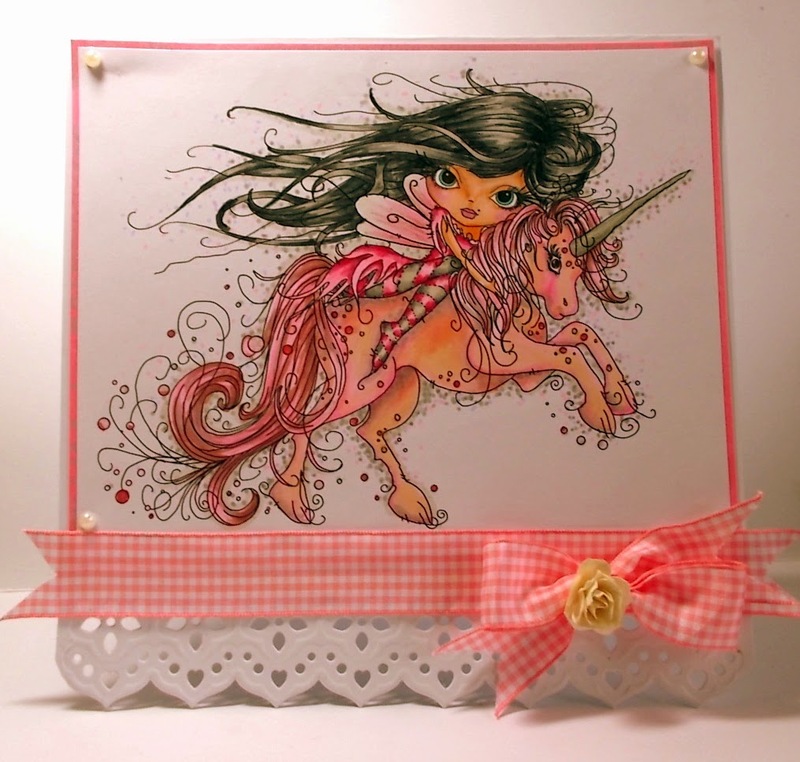 Naz - The image I have used for this card is from Polkadoodles CherryBlossom Lane called Noah. I colored Noah with Copic markers and added some Wink of Stella clear glitter pen to the sail of the boat. Also added some glitter gel to the dots on the umbrella. I then added some Tim Holtz distress ink to the edges of the papers. 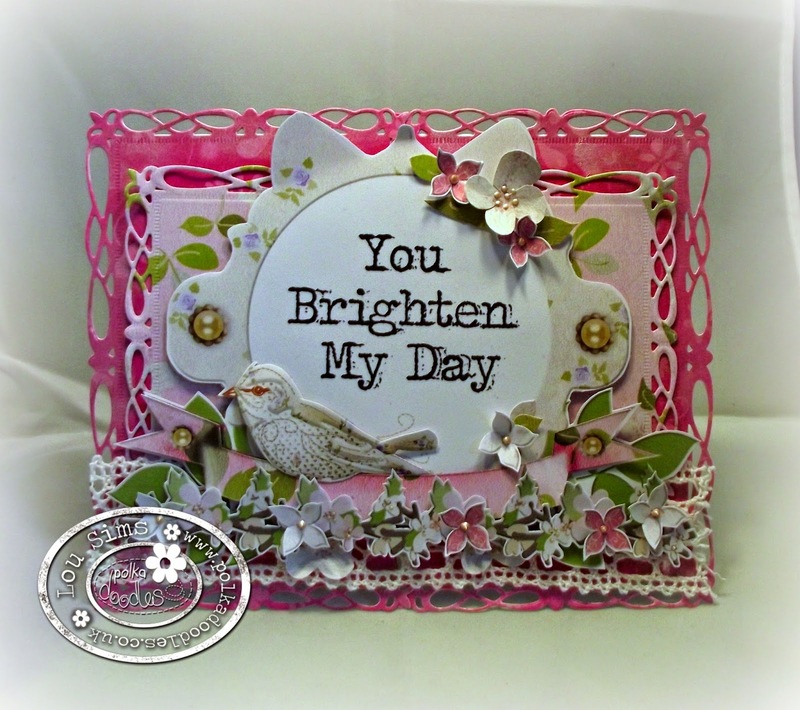 The sentiments that I have used on this card are also from Cherryblossom collection. I finished off my card by adding some tiny star glitter diecuts. Jane: I love my fur babies x 4. I have used to create. Copic Markers my favourite Medium. Kaisecraft Card stock Rose & Ballet. & Kaisercraft Design Paper. I have used mix Media to complete with scraps of design paper on her Jacket and Scarf. Ruth: I've gone clean and simple this week and quick as well! I printed the pre-coloured Dollie from the Dollie Daydream cd directly onto the cardstock; the sentiment is from the same cd. A little bit of doodling around the edges and some half pearls and a card in a hurry is complete! Work and Play 9 Love and Kisses, I printed out some of the papers and then thought the little lady would work well so here is the result. More details on my blog. 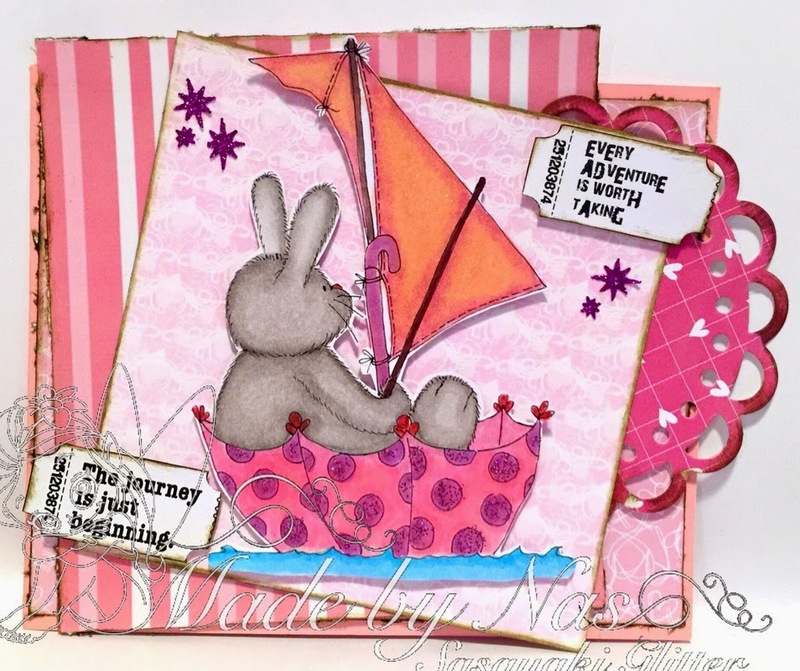 Bev here I opted for a circular easel card and used the beautiful Eden Collection for my inspiration. I absolutely adore this digi and was in my element colouring her in with my prisma pencils. The flourish is a cutting file, papers, sentiment and flowers are all part of this wonderful collection too! 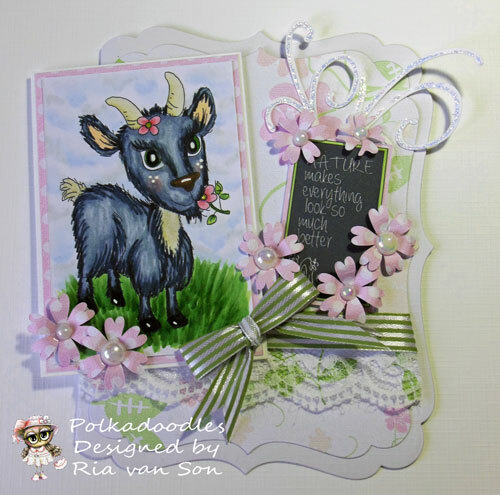 Ria- Hi, I am showing you my card with the cute Twiggy and Toots collection that is released earlier this week. I coloured this cute owl with my alcohol markers and cut the flowers and the leaves with my silhouette cameo. I used a doily border punch and grass punch for extra decorations. Anjie - The image, papers, embellishments and sentiment are all from the Work and Play 10, Country Life, digi download collection. This is also available as a CD HERE or as smaller download bundles HERE. More details and the markers I have used can be found on my blog. Claire C This challenge theme was a great excuse to colour up one of the gorgeous images from Octavia Moonfly collection which is available either as a CD here, an individual digi here or download the full collection here. I've coloured the image with Graph'It markers and just added ribbon, pearls and a flower from my stash. Wendy - For my pink & pretty card, I've used backing papers and one of the images from the Octavia Moonfly CD, that was on Create & Craft earlier in the week. Octavia herself is also available as a digi download here. I've used my Graph'it markers to colour Octavia and to colour paper to make my own flowers in complementing colours. I coloured using alcohol markers. We hope you all had a fabulous Easter break. Did you manage to get some crafting time? By now you would have all been drooling and hopefully snapping up the latest new releases. more easy to navigate and the search function is fabulous, not to mention that there are SO many great offers and discounts - but we have to say the biggest change which makes it so much easier for those of us who love downloads is that now they are instant and just appear in your account! No more double checkout! Make sure you click below and check it out - oh, oh and don't forget to check the coupons! There are over 1500 downloadable products in the store! 1500!! 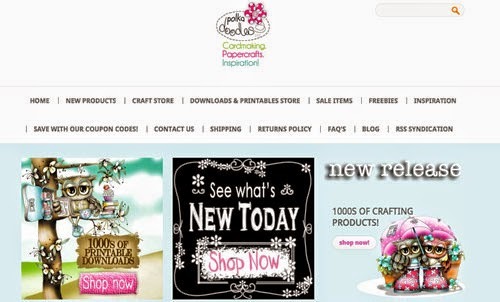 Don't forget your do not need to use Polkadoodles products to enter our challenges. And please remember only two entries per person. You have until Noon GMT, Friday 24th April to enter. Our Random Prize winner for this challenge will win a £5 voucher for the website! Now lets see what the Design Team has for your inspiration this week. Asha - Meet Miss Constance. She's the pretty lady in pink you see on my card and she's coloured with Graph'It markers. I have to confess, pink is NOT my colour. But when tempered with some pale blue and violet... let's just say, Constance turned out to be a babe! The papers and image are from the Rose Bud CD. The flowers and bling are from my stash. The entire Rose Bud Collection is also available as a digital download.And you can get Miss Constance as a clear stamp. Scatty Jan - For my Pink and Pretty project - I cut out a Butterfly on my portrait and decorated it with all lots of lovely bits and pieces from The New CD Work and Play 10 Collection - Country Life, it is also available as a full download you can find here - I adore these collections each and everyone of them packed to the rafters with loads of goodies. I just added some tiny pearls to finish. 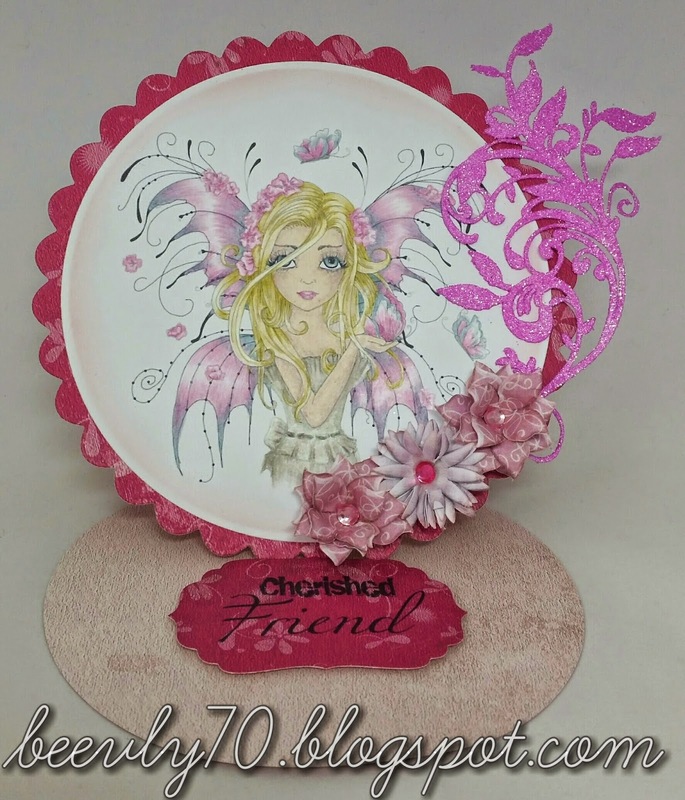 Cheremane - I just love pink and have decided to use the Brand New Work & Play 10 Country Life Cd for my inspiration for you. 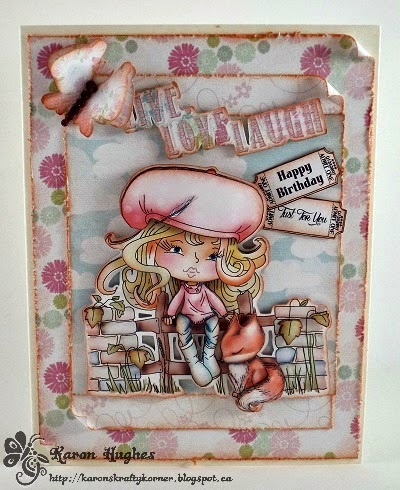 I've used the fabulous pre-coloured Foxy Friend Digi she is so pretty in her pink hat, teamed with the stunning papers,flower, sentiment and bow which are all from this super Cd. This really is another super collection and a must have. Penny - Pink is definitely not one of my go to colours, so as you can see I took the liberty of toning the pink down with some greys and whites. The lovely swimmer girl was coloured with copics, you can find her in both digi or pre-coloured in the WP4 collection, or as an individual download. My papers were printed up from the Eden and WP8 collections. You have to admit this swimmer girl is quite the fashionista with her coordination swimsuit, and floaties (thats what we call the things on her arms out here in Australia). Karon - Couldn't resist playing with the newly released Work & Play 10 - Country Life collection. It's gorgeous and full of fabulushness! I used a pre-coloured digi and then layered her up to make it 3D. She is also available as a stand alone digi - Foxy Friend. All the elements are from this wonderful collection. 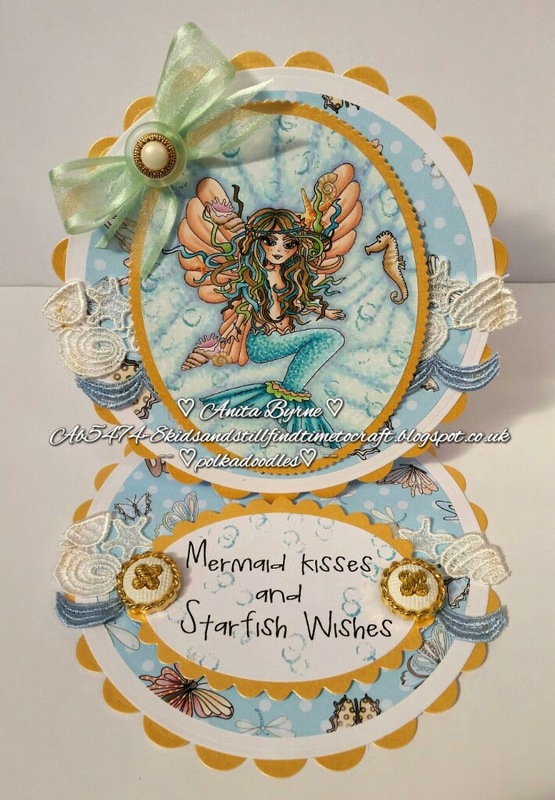 Lou: I have used a selection of the papers, embellies, flowers and sentiments from Eden big kahuna collection to create my card. You have until Noon GMT, Friday, 24th April to enter. Hello out there - hope you have all had a fabulous week of creativity. but no taking it in the craft room. course they are edible LOL! embellishments and cute animal digis too! You just have to go check out the different bundles and even available as single digi stamps. The winners of our Birthdays Challenge are at the end of this post. Now, lets see what the DT have for you. Asha - I made a card for a friend who is expecting a baby girl. Here's a sweet and simple card made with papers from my all time favourite indispensable CD for patterned papers - Sugar Birdies. 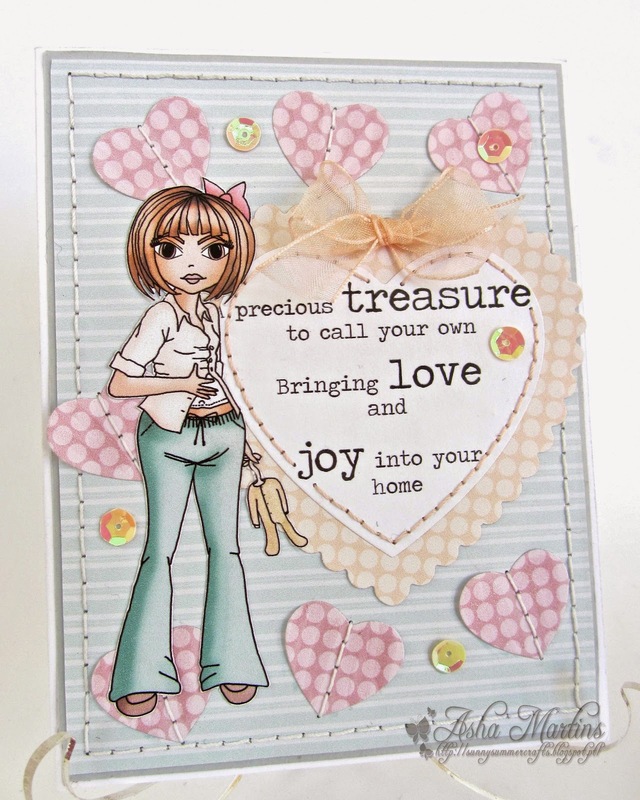 The pre-coloured digi and sentiment are from the Fredericka Mini Collection. I'm using heart dies in various sizes to cut and frame as well as a few sequins and sheer ribbon for a soft and delicate finish. 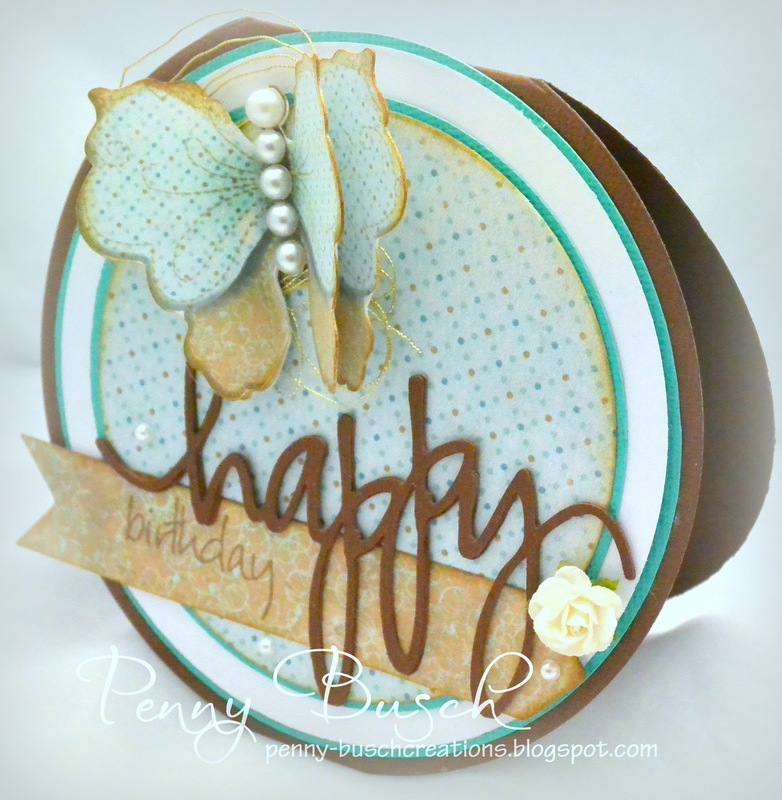 Penny - I was delighted when I saw the theme of Use a die for the challenge and immediately ran off to play with my Little B and Spellbinders dies to create. 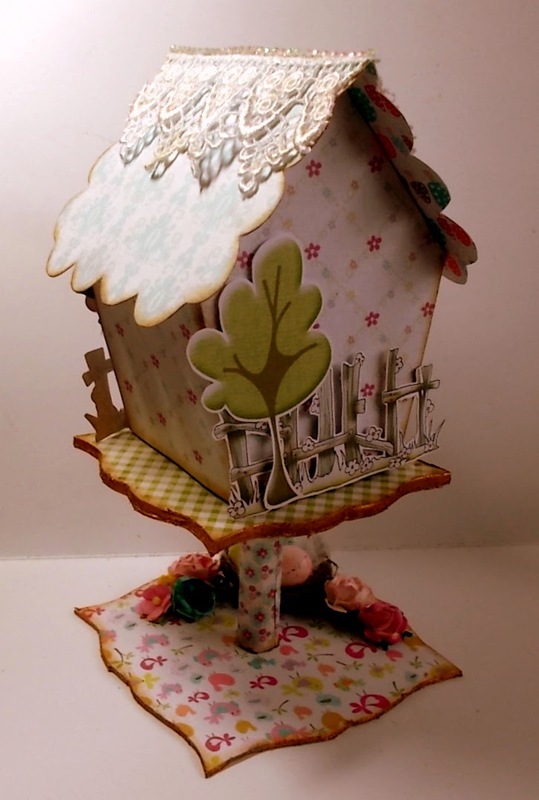 I used the wonderful Eden collection papers and embellishments. I love how easy it is to coordinate everything, I think I was smiling the whole time I created this. Karon - My hubby's nephew is getting married later this year, so I decided to get my Wedding card made and done. I used several sizes of oval dies behind the main image and on the inside. 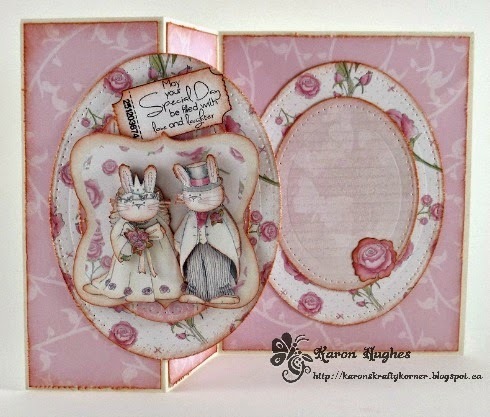 I have used the wonderful Bride and Groom rabbits off of the wonderful Cherryblossom Lane Collection, they are also available as a single digi download. All the elements are from this fabulous CD. 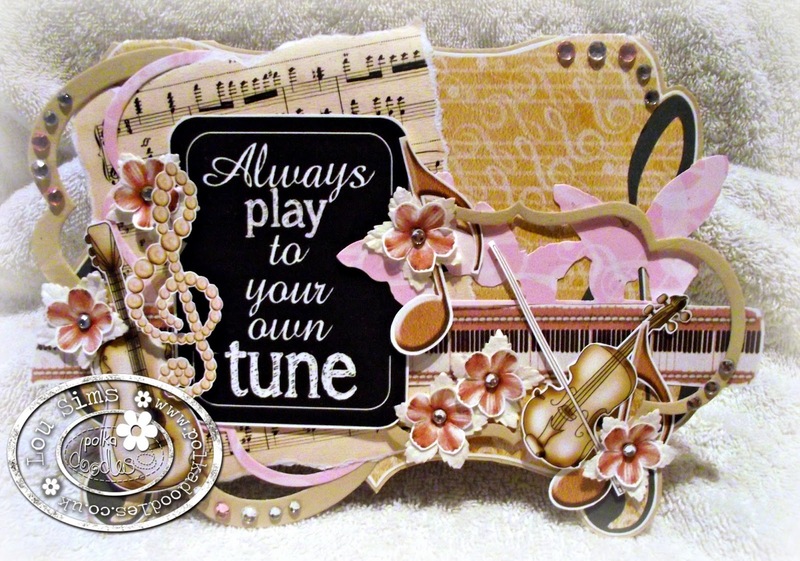 Lou - I have used one of the card templates from Work and Play 8, Music; adore their shape with the music notes on the side. Papers, embellies, sentiments and flowers are also from the same CD/download. 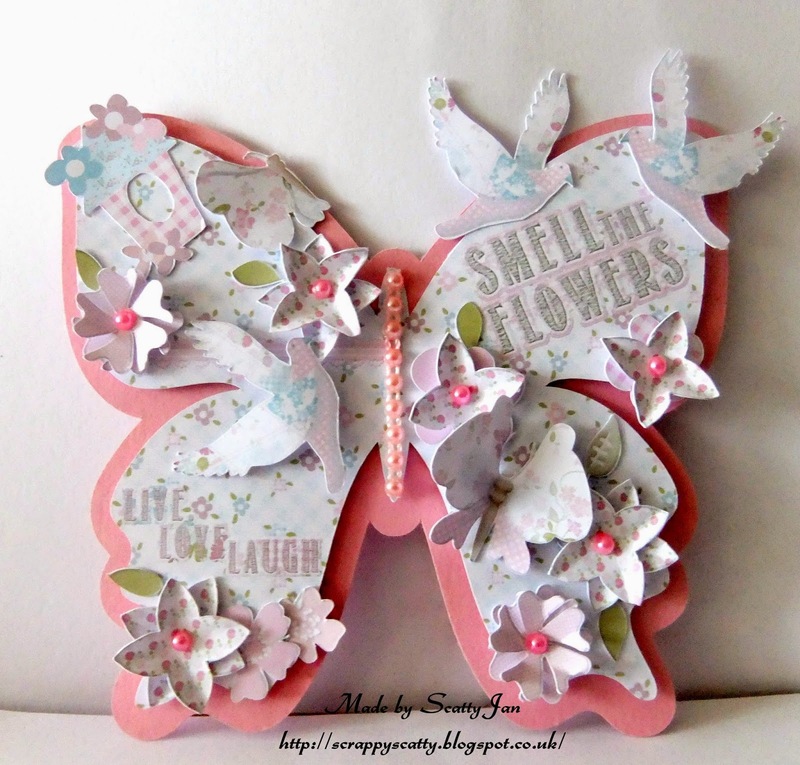 Dies were a Sizzlet set to create some frames and a Sizzix butterfly die. 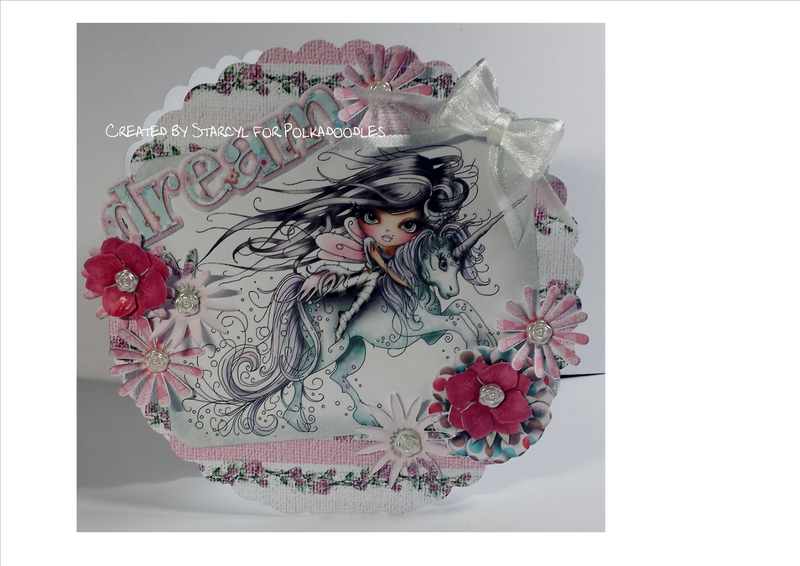 Cheremane - I have used the stunning Eden Cd to create my card and used Fairy Wings Digi I adore everything about this collection the colours are very feminine teamed with stunning images it really is a must for all your girly creations. 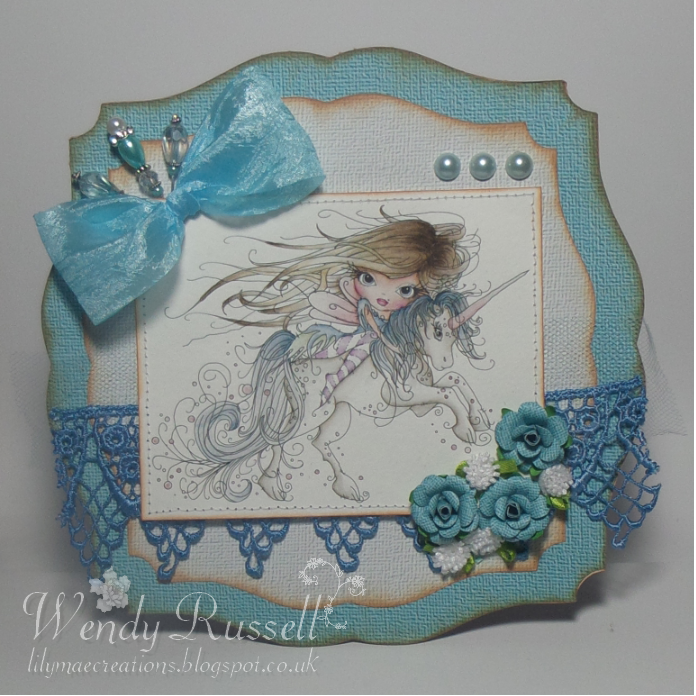 I teamed this up with Spellbinders and Memory box die's to suit the theme. Work & Play 10 CD Collection - Country Life. 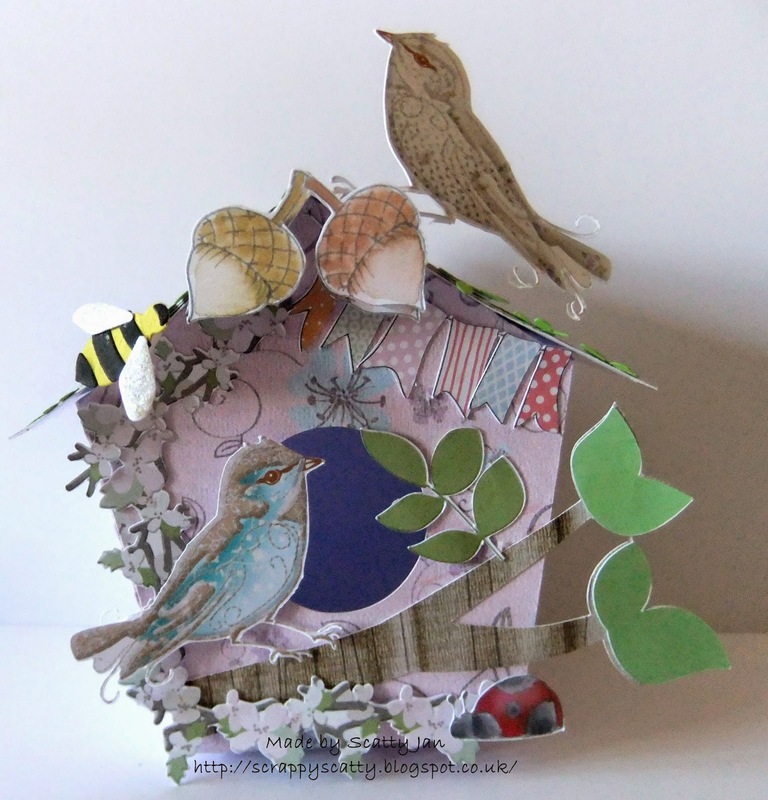 I used pre-coloured image Gamekeeper :) I also printed papers from CD - they are so pretty and softy colours. 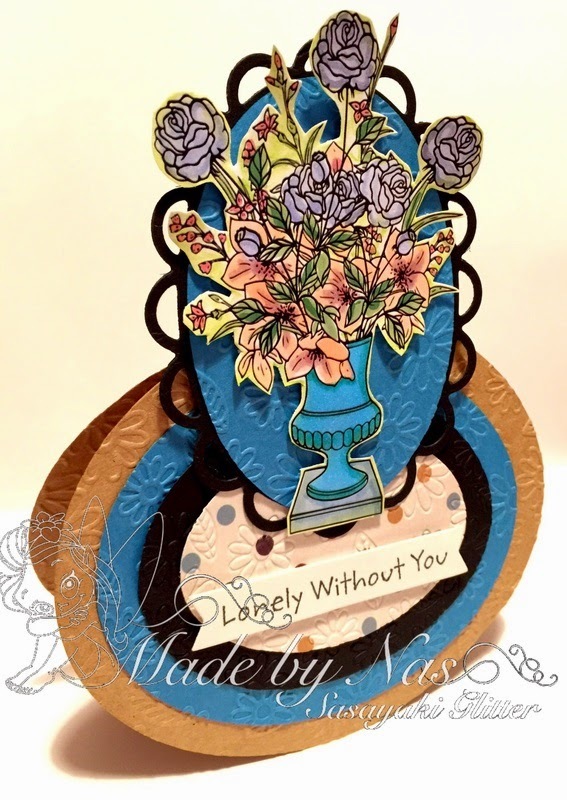 I created card for a man, added some white and craft carton, few flowers and dies (Cheery Lynn Designs - lace and leaves and Crafty Ann - honey comb lattice, sentence - "for you". 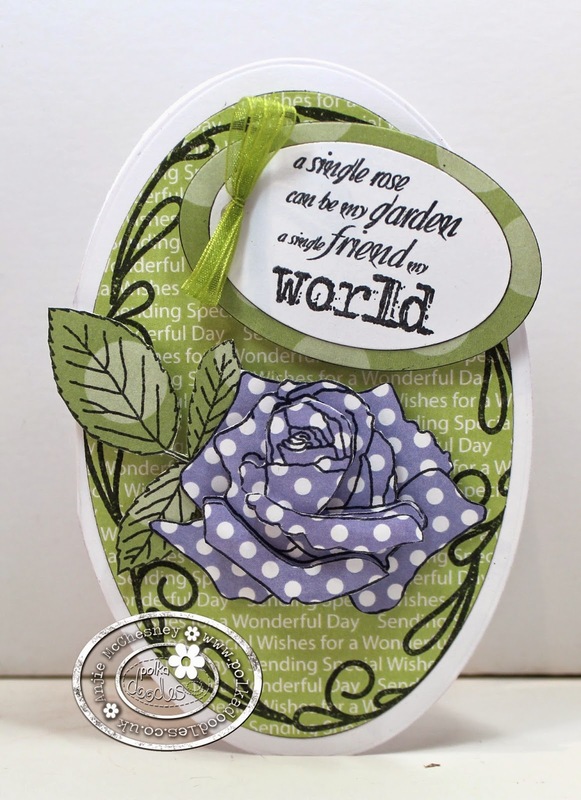 Anna - For the Use a Die Challenge, I decided to make a last Easter card for this year, in my favorite color - violet. It has flowers, lace and a cardboard bunny . Card made from Winston collection.